﻿ Lolo Oyong El Nido Pension House, Palawan | FROM $38 - SAVE ON AGODA! "Great staff, great location, great facilities!" Have a question for Lolo Oyong El Nido Pension House?
") Best budget hotel we stayed in the Philippines!" "The hotel staff is really nice (and when you checkout, they give you a souvenir from Coron, Palawan)!" "Good breakfast, both a small buffet with cereal, fruit and bread plus a breakfastdish of your choice." "The location is perfect if you want to stay in town and do a..."
Situated in El Nido, Lolo Oyong El Nido Pension House is the perfect place to experience Palawan and its surroundings. From here, guests can enjoy easy access to all that the lively city has to offer. A well-kempt environment and its proximity to Parish of St. Francis of Assisi, Tres Marias Island, Bacuit Bay give to this hotel a special charm. 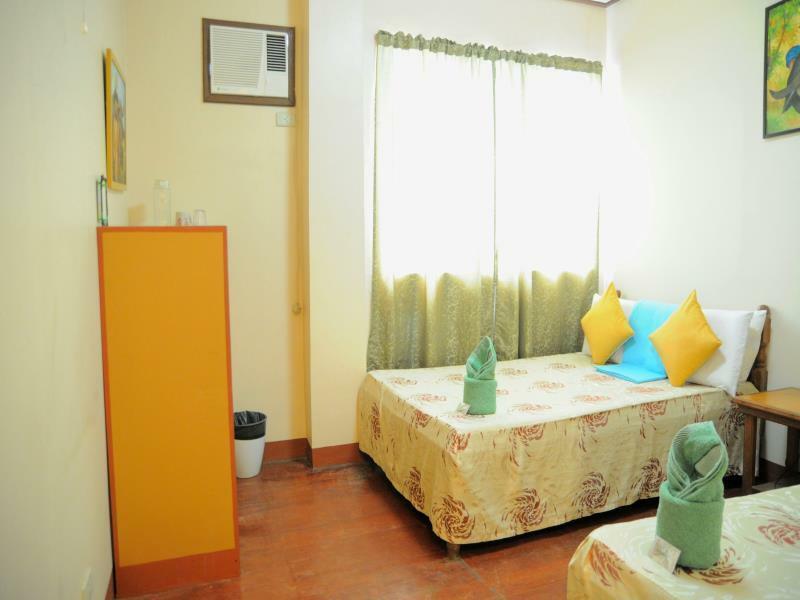 At Lolo Oyong El Nido Pension House, every effort is made to make guests feel comfortable. To do so, the hotel provides the best in services and amenities. 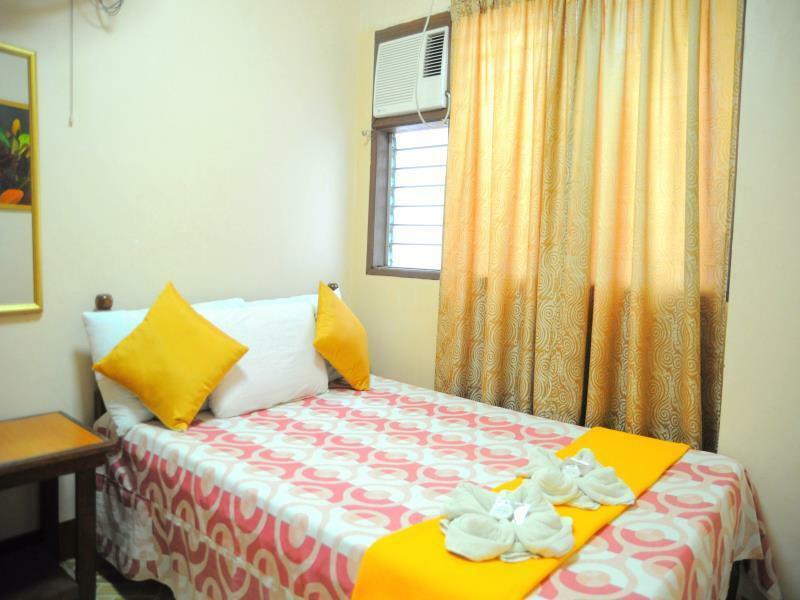 While lodging at this wonderful property, guests can enjoy Wi-Fi in public areas, tours, laundry service. The hotel features 16 beautifully appointed guest rooms, many of which include linens, towels, non smoking rooms, air conditioning, desk. The hotel's massage are ideal places to relax and unwind after a busy day. Enjoy unparalleled services and a truly prestigious address at the Lolo Oyong El Nido Pension House. "Very nice staff and great location!" The electricity is not available from 6:00 AM to 2:00 PM. The hotel staff is really nice (and when you checkout, they give you a souvenir from Coron, Palawan)! The hotel is located just a few blocks from the boat docking area, where several restaurants and tour agencies are lined up. The good thing is it is not too close to that area for you to hear the noise of the people outside. The junior suite room is really nice with 3 beds! It is spacious and, at the same time, it feels cozy. There is a space outside each room where you can hang your wet clothes and swimwear. The breakfast is good. You can choose from a breakfast menu the night before and they prepare it for you the following day. When you check out before the breakfast time which starts at 6:30am (we had to check out at 5am to get on the fast ferry to Coron), the hotel still gives you sandwich takeout and bottled water. The pension was actually better than expected when looking at the pictures. Staff is very helpfull and arranged both Island hopping tour and transportation back to Puerto Princesa. As the Pension is on the main street of El Nido expect some noise during the night - You can get ear plugs at the reception if necessary. Breakfast was OK but nothing special. Wifi is not the best, but this seems to be a common problem all over Palawan. Suggest to buy sim card with data on arrival to the Philippines as it is not expensive and is surely well worth it! Staff are very nice they allowed us the use of their shower room even after our check out. They even provided us clean towels. Breakfast is good and location is near shops, walking distance to the beach. I had fun with my stay at Lolo Oyong's Pension House. There are free cereals, fruits, and coffee on breakfast. The staff helped us booked our tour for the following day so our stay was very relaxing and delightful. i booked a superior room but was given a standard room because agoda overbooked, i was given the difference by the hotel when i left which i was most grateful of. saved me having to deal with agoda for the difference in price. helpful staff. I stayed here for 4 nights: excellent! They were organized, friendly and always present! The location is perfect if you want to stay in town and do a lot of tours as well... the zone is a bit busy, but you'll be exploring all the time ;) Best budget hotel we stayed in the Philippines! Hotel water has a very strong smell of the ditch, even after shower also can smell it in your body. After we inform the counter, that we knew it the hotel staff are aware of it. and gave us a small tank of "clear water". Say this is for you to brush your teeth, and wash your face. Breakfast need to book the day before & what time for your breakfast. but the food is getting cold. The only thing that makes us satisfied is their bed, not too soft. Not only El Nido is amazing but my accomodation was good, you pay for a simple room, good staff(so better keep it up), clean room, you will hear noises coz outside is the street but still i sleep well, very accessible coz it just in the center, we just walked 5mins going to the port for our Island Hopping, basic breakfast meal, but Wifi is just terrible its not there fault but the company has a weak spot, overall I will definitely go back there. Staff was very friendly. The hotel helped to arrange round trip van service from Puerto princessa to el nido at a competitive rate. The van was brand new and was chartered solely for our group. Breakfast was good. The water from the faucets smelled rusty although I have heard similar complaints from friends that stayed at other places in the area so it seems more like a regional issue. Overall good/clean hotel for the price. Our stay was nice. There are 2 very low walls in the bathroom. One to enter and the other to the shower. It so happened that I stumbled over the shower wall and smashed my two middle toes. When I reported it at the reception the girl made my the crazy sign which I really did not appreciate very much. In top of that Agoda overcharged us as the suit is only P2000. We paid much more. clean room, friendly staff, ordinary breakfast. It is noisey, but so is all of el nido. We were lucky to have chosen this place. They have taken great care for the guests. They have power converter you can borrow. They also have torch for all the rooms if you decide to go out at night and the electricity runs out. There is generator, so power is 24 hours. The staff is very helpful. Staff were super friendly and nice, very helpfull all the time, breakfast local and international both very good, rooms vere ok only in bathroom the water smells strange but you get use to it, location is fine close to harbor where all island hopping tours started, we had only one problem during some christmas party the music was very laud coming from club close to the hotel till 3AM so we were not able to sleep (but hopefully this will be managed in the future, we had this experience only once per 5 nights). I checked in late and stayed a night before moving on. It is right on the street, so its gets pretty noisy around 5-6am. Don't stay here if you plan on sleeping of relaxing past then. If you are doing daytime activities and are just looking for a place to sleep then this is fine. Not for relaxing or spending the day at. Stayed there for a week and are very satisfied and happy we did. The staff are very accommodating and helpful, going even beyond their call of duty. They took care of arranging our boat tours and always made sure our stay with them were more than pleasant. They even provided an extension cord so we can use our phone chargers in our room. The included breakfast was so great we ended up asking for them to serve the same dish everyday (tapsilog). The meal was very filling because aside from the rice meal set, they served a plate of bread with butter and marmalade and another plate filled with sliced fruits. The room is spacious enough for two and it has good airconditioning with a separate electric fan in case we didn't want to use the aircon. 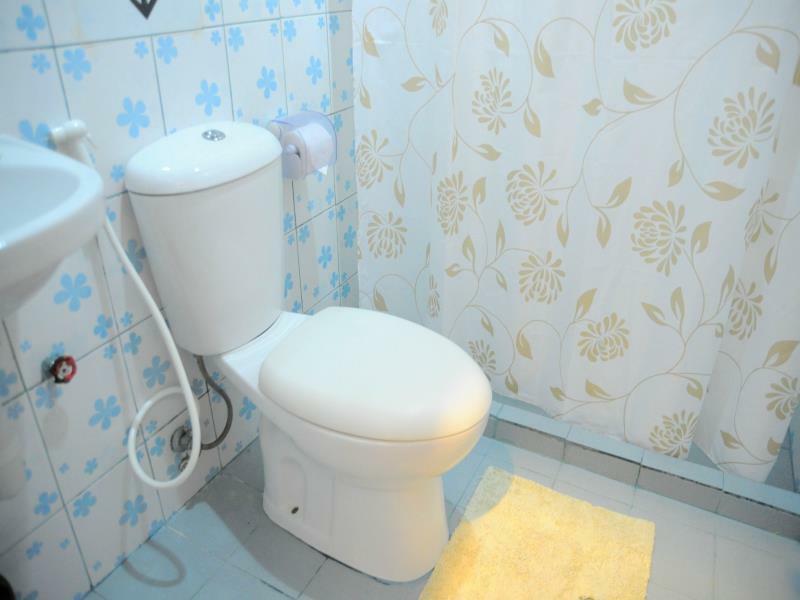 The bathroom is clean and orderly with water heater. The staff always asked us if we wanted to have our room cleaned daily. The place is not a beachfront property, but it is just a five-minute walk to the beach. El Nido town is small and all the places are easily reached just by walking. We definitely recommend this place to others. I stayed here 4 days the rooms are basic but are well kept and very clean. The electricity is on from 6pm-6am so those are the hours to take your warm shower. I also believe these are the hours the wifi will function.The hotel turns on its generator in the AM for cooking breakfast. The breakfast is nice especially when the hotel has over 20 guests they lay out additional items in the lobby. The lobby is spacious and i recall seeing boardgames available for guest use. The hotel staff is very friendly and they will assist you the best they can be it with island hopping bus reservations etc. 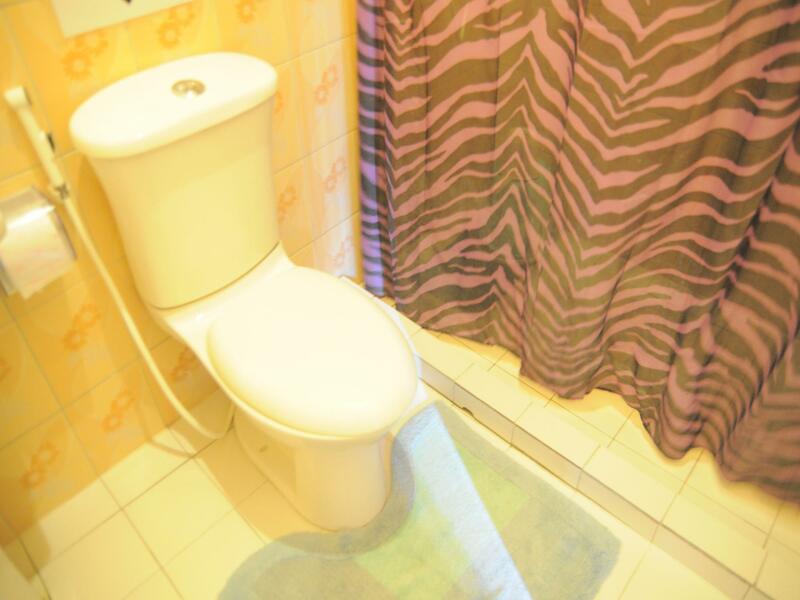 Overall a nice property right on the main road with good staff and free breakfast if you can get it for cheaper than locations inside el nido town its worth it and only a 5-10 min walk to the town. once is enough.next time i will try another. cuz it just right next to the main road. everyday since 3am chicken bark,4am dogs barks,5am busy stree with all different sound. (our room is #11/2nd floor) even i wore my ear plugs.but still can hear all the noisy. It was pleasant. The staff was friendly and helpful in helping us to get more information about tours and buses out to the main Puerto Princesa area. The hotel was also in a good location being near to the beach and the streets. Getting a taxi was easy too. It was just a mistake of booking here since this was our first visit to the town. This accommodation is rated as only 1 star. The windows is a jalousy type, the beds are just ordinary you can find in a dormitory, you need to bring your own soap, shampoo, lotion, or you can buy in front at a small store, TV is available only at the small canteen, towels and beddings are the lowest standard. There is an air condition but electricity is available only from 2PM TO 6AM. You can hear motorcycle and tricycle noise from inside your room. Location is quite nice as it is near main beach and travel agencies. But we were on the last floor and the room was so HOT. Aircon are just noisy fans. Everyday roosters of the city make noises from ~5/6 AM to 8 AM which make it almost impossible to sleep. Except this, breakfast is OK and staff is quite nice. Bus terminal is 5 minutes by tricycle.